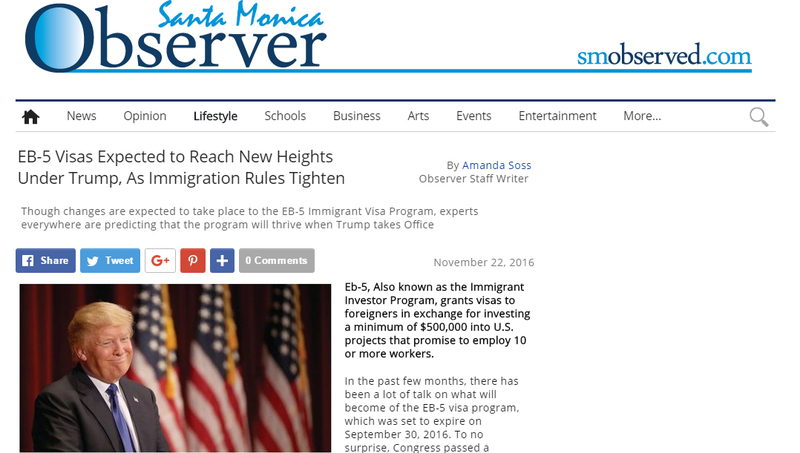 Eb-5, Also known as the Immigrant Investor Program, grants visas to foreigners in exchange for investing a minimum of $500,000 into U.S. projects that promise to employ 10 or more workers. In the past few months, there has been a lot of talk on what will become of the EB-5 visa program, which was set to expire on September 30, 2016. To no surprise, Congress passed a Continuing Resolution just two days before the set expiration date which will allow the EB-5 program to continue until December 2016. Congress will now either need to agree on a reform for the program or let it expire. Experts on the topic believe that the EB-5 immigrant visa program will continue to thrive under the Trump Administration.